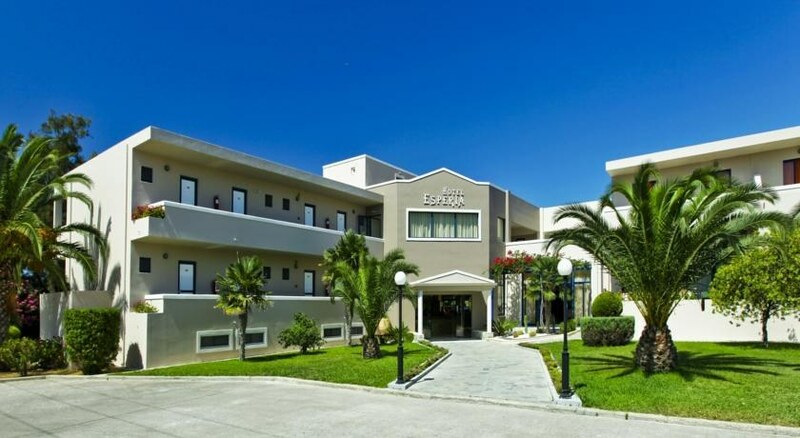 Hotel Esperia was built in the south-eastern Aegean in the beautiful island of Kos, the island of Father of medicine Hippocrates and in the tourist region Marmari. 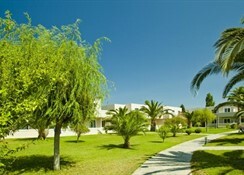 It is situated 14km away from the city of Kos, 11km from the airport and 350m from the Marmari beach. It is a new building, classical, with wonderful and enormous ordinary spaces. Our 92 sunlights rooms, are complete with telephone, music, safety deposit boxes, A/C and big balconies in order to enjoy the view and the sunset. Restaurant near the pool in which you can take your breakfast or dinner. 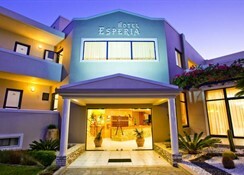 Hotel Esperia promises you relaxed and pleasant vacations. It is built in extent of 16 square with wonderful green gardens, tennis and basketball, courts, playground and 2 pools (1 big, 1 for kids) which you can enjoy your drink or your snack.